Bouquet is definitely peachy and floral. First taste is bright, refreshing, with nectarine and citrus – description mentions a hint of a mineral finish – I did not pick it up. 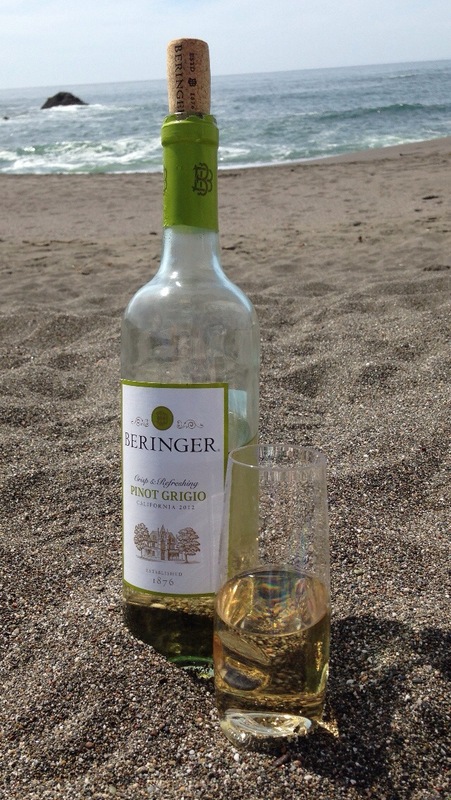 Perfect for a summer picnic on the beach – a classic Pinot Grigio best served very chilled. This wine can hold its own against bottles that cost 2-3x as much. A little more sugary than what I prefer – but I’ll rate this a buy again and although perfectly fine alone, I’m having premonitions of a punch bowl. I can see a beautiful white Sangria coming together with a few orange, lemon and nectarine slices – add a few cups of gin, a bottle of sparkling white wine, plenty of ice cubes, garnish with kumquat* (see technique below,) sprig of mint from the garden and a number for a taxi- muy bien! 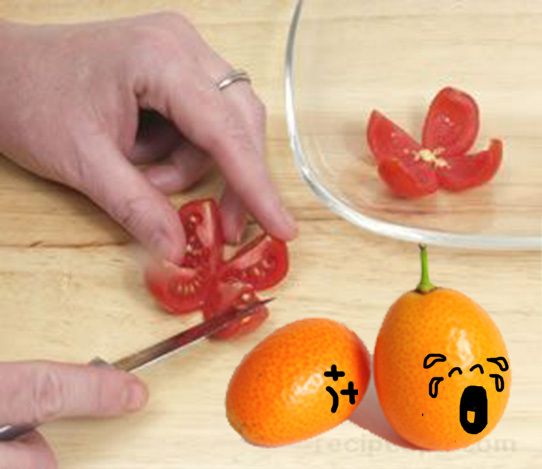 *Isn’t this a cute garnish idea for cherry tomatoes and kumquats – float it on a Sangria.